The Arca Adapter with Chocolate Pro Strap from Camdapter provides a strong and functional hand strap system that can be used with a camera, neck strap and tripod - all at the same time. It is best used with cameras that contain a rubber base around the tripod thread and fits all Arca Swiss QR and RRS (Really Right Stuff) Clamps. The Adapter is manufactured from rugged black anodized aluminum. Once attached, the plate stays put and won't slip around like various camera flash brackets that skew and that you always find yourself readjusting. 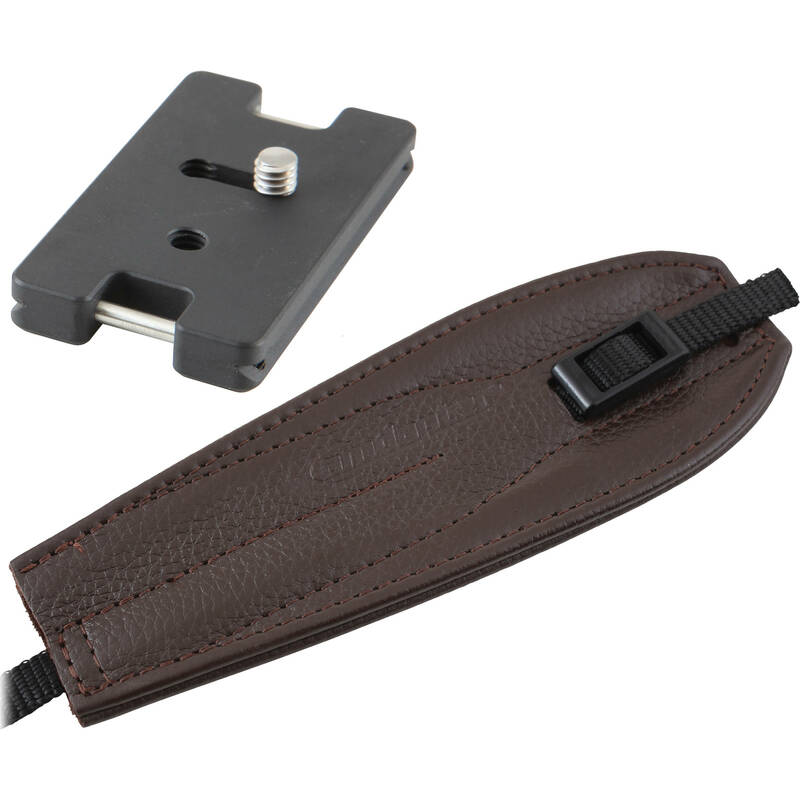 Arca Adapter with Chocolate Pro Strap is rated 4.7 out of 5 by 3.